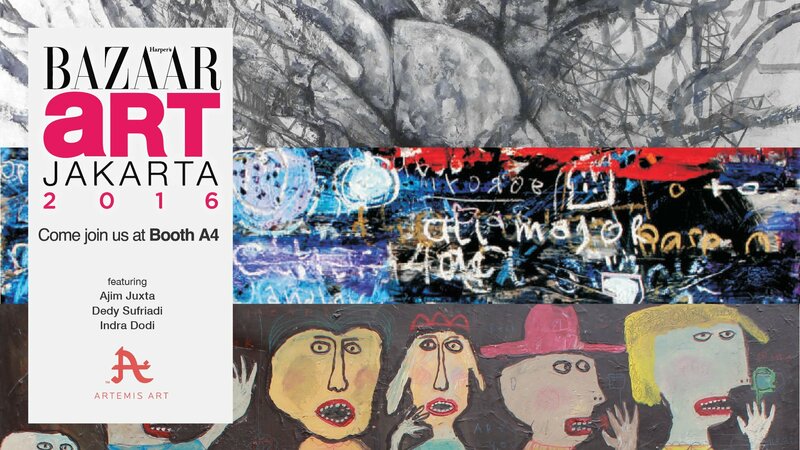 Artemis Art continues our international art fair program with a debut participation in Bazaar Art Jakarta 2016, scheduled for 25 to 28 August 2016. In its 8th edition this year, Indonesia’s first art fair will take place at Ritz-Carlton Jakarta Pacific Place, located in the heart of Jakarta’s Sudirman Central Business District. Located at Booth A4, we will be featuring artworks from young Malaysian artist Ajim Juxta, and emerging Indonesian artists Dedy Sufriadi and Indra Dodi. Raja Azeem Idzham, better known by his artist name Ajim Juxta, is a multi-talented young Malaysian visual artist. An architect by training, this will be Ajim Juxta’s first participation in a major international art fair, after being selected as one of the top three winners in Young Art Taipei 2016’s Young Art Award. The artworks to be exhibited are part of his ongoing Arcology series, exploring a potentially dystopian outcome of society, combining the megalithic conceptual architecture construct of the arcology, with current social and technological trends, as observed by the artist. Dedy Sufriadi is a name well known to those who have been following Artemis Art’s progress over the years, and will be a key part of our exhibition space at our debut BAJ 2016 participation. Dedy continues to expand his repertoire of styles, incorporating unexpected mediums into his works, and this time around the artworks exhibited by this emerging Yogyakarta-based artist will surprise and enthral. We don’t want to give too much away at this juncture, but suffice it to say that continuing from his recent solo Re-Texs Ture this year, Dedy’s current exploration of texture has produced some amazing results, some of which you will witness at this year’s Bazaar Art Jakarta. A painter who is new to Artemis Art’s stable of visual artists is Indra Dodi, who makes his debut showing with us at Bazaar Art Jakarta 2016. His works are naïve-styled, depicting a mix of real-life experiences with the artist’s vivid imagination. Indra Dodi has exhibited extensively both in Indonesia and beyond, including Singapore, South Korea, and in Europe. His works are visually fun and utilizes child-like whimsy to tell the many stories the artist has to tell. We will be providing updates in the coming days, running up to the art fair itself, which begins with a VIP Preview on Thursday, 25 August, and continuing until the end of the week on Sunday, 28 August 2016. 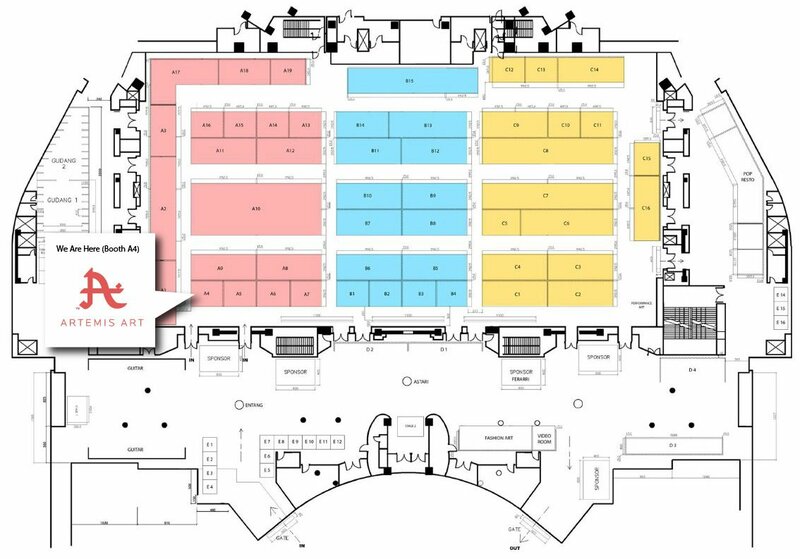 In the meantime, should you require additional information about our participation in this year’s Bazaar Art Jakarta, contact us via email at [email protected].